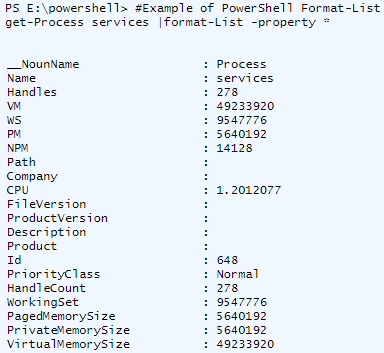 Format-Table, or FT for short, controls the formatting of the output of your Windows PowerShell commands. Whenever presentation of information is important, pipe the script’s output into Format-Table. 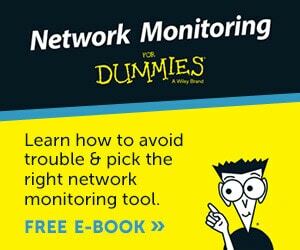 On this page I will show you examples of this straightforward, but important command. You are at the prompt PS> Or if you have PowerShell 2.0, launch the ISE. 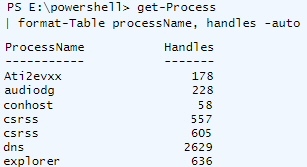 Note 1: Thanks to Format-Table, we now have the name of the process in the first column. Note 2: -auto prevents the output spreading to the full width and consequently, the -auto parameter makes the figures easier to read. To see the effect try the above command without -auto. The main thing that goes wrong with Format-Table is forgetting the pipe (|) before the command. My technique is to get the main command working then use (|) to pipe the output into Format-Table. From there we can list the names of the properties we wish to display. A secondary problem with this cmdlet is forgetting the comma between the properties; but remember, there is no comma after Format-Table and before the 1st property. It is time to research what other properties of Get-Process are available, then we can fine tune our Format-Table command. Example 2b: Even here, I cannot resist using Format-Table to filter which column gets exported to the file. Note 3: It’s not really necessary to introduce the variable $Proc. However, one advantage of this technique is that it saves problems with our script word-wrapping to the next line. Example 3b: Let us see what happens is we add -auto. Format-Table comes into its own when dealing with Get-WmiObject classes. Because the output contains more than 5 properties, and the default layout is courtesy of Format-List; I prefer to select my properties, and use Format-Table. Format-Table has a parameter called -GroupBy, which offers a method of aggregating the data. Another technique for getting order into the output is to employ Sort-object. With Microsoft, there are always at least three ways of doing everything, what seems like redundancy when you are an expert, seems like perspective when you are a beginner. 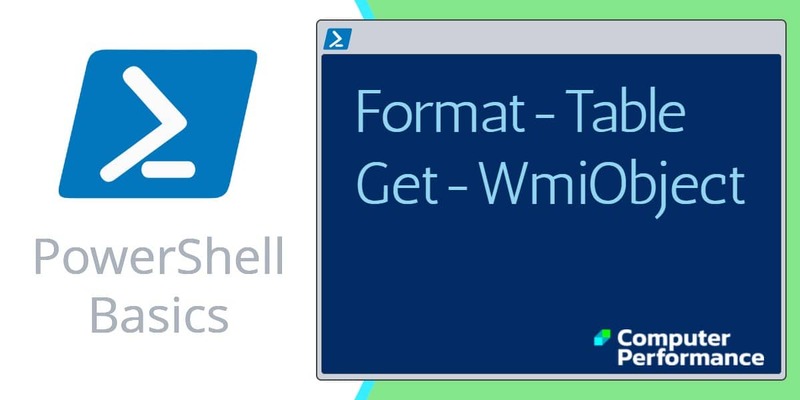 One obvious example is that you can abbreviate Format-Table to FT. As you increase your range of PowerShell commands, keep an eye out for another PowerShell Alias, for example, gwmi for Get-WmiObject and gci (Get-Childitem). Here are alternative methods of achieving the above objectives, each example is designed to develop your binocular vision, hence see the target more clearly. For example, if you experiment with format-wide and format-List you will extend your range of formatting options. Learning points. You can substitute FT for Format-Table. Also you can research other properties, for example PagedMemorySize. Learning points. It’s not essential to use variables. This is a simpler example focusing on the -groupby switch. Note 6: What makes using the format-List worthwhile is the * (star) wildcard. As regards our working technique for Format-Table, we have reached a crossroads. My preferred working method is to create scripts and then run them from the PowerShell command line. The other alternative is to keep typing and re-typing the commands in the shell. My technique comes into its own when the commands are complex; as a bonus, my scripts document what I do so it’s easy to refer and refine previous experiments. Assuming that I have saved example 2 in a file called proc.ps1, what I do is go to the PS prompt and type .\proc. You either have to save the script into the working directory, or else use cd to change to the directory where the script was saved. While Format-Table (or FT for short), is a ubiquitous command, it does have numerous switches. 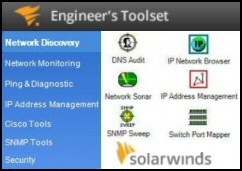 With judicious application of its many switches, you can produce creative and effective outputs.